The AT&T-Time Warner marriage was completed this spring soon after a federal judge approved it. But government antitrust regulators filed to have the judge's ruling overturned, setting the stage for a landmark competition case in the U.S. Court of Appeals in Washington. In a filing Thursday, the phone and pay-TV giant asserted the merger will save it money on content from Time Warner's Turner Broadcasting, enabling it to cut charges to its DirecTV customers by at least $78 million a year. U.S. District Judge Richard Leon was correct to dismiss the government's argument that the merger would hurt competition, limit choices and jack up prices for consumers to stream TV and movies, Dallas-based AT&T, the biggest pay-TV provider in the U.S., said in its filing. The government "failed for multiple reasons to (show) that net retail prices will likely be higher than otherwise," the company said. Leon's ruling in June opened the way for one of the biggest media deals ever. AT&T has since absorbed Time Warner, the owner of CNN, HBO, the Warner Bros. movie studio, "Game of Thrones," coveted sports programming and other "must-see" shows. The Justice Department, however, has maintained that Leon was wrong in concluding the merger won't harm consumers and that he misunderstood the complexities of the booming pay-TV market and the nature of AT&T's competitors. Many legal experts believe the government will have a hard time convincing the appeals court to overturn Leon's ruling. Opposing the merger forced the federal antitrust regulators to argue against standing legal doctrine that favors mergers among companies that don't compete directly with each other, what's known as a vertical merger. The government contends that this deal is different. 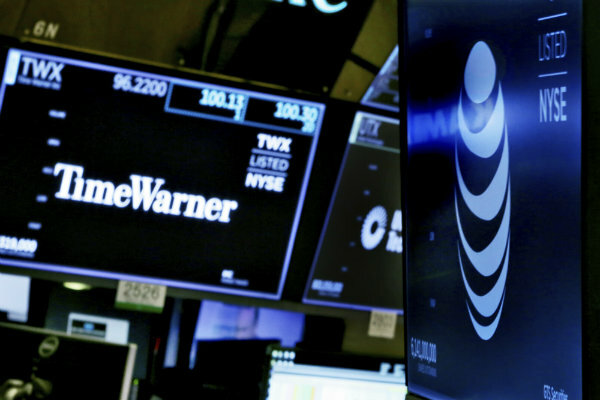 By combining the programming content of Time Warner's Turner Broadcasting with AT&T's vast distribution network for its DirecTV, the combination will hurt competition and violate federal law, it says. AT&T claims about 25 million of the 90 million or so U.S. households that are pay-TV customers. Just a day after his decision, Comcast launched a $65 billion cash bid for the bulk of 21st Century Fox — topping Disney's all-stock $52.5 billion offer in December. Comcast later dropped that bid in order to focus on its attempted buyout of European pay-TV operator Sky. After months of offers and counteroffers for Sky by Comcast and Fox, the two U.S. media empires will settle their battle for control of the European broadcaster through a rare auction. The auction will begin after the London stock market's close on Friday and end sometime Saturday evening. Disney, meanwhile, is closing in on a $71 billion acquisition of Fox's entertainment assets. Other rumored or potential deals include a Verizon bid for CBS and a tie-up of Sprint and T-Mobile.